Last year for the A-Z Blogging challenge hosted by Arlee Bird (here) I really wanted to do something about climate change. But it was too hard, too complex, and to be honest, too darn depressing. But the idea has been playing on my mind all year, niggling and asking for my attention. I don't particularly want to spend time reading weighty books and research papers about environmental degradation, pollution, waste, greed, the melting of polar ice and all the things mentioned in the cartoon below. But if I'm going to live according to my core values it's something I need, and choose, to do. one of my vital core values is to connect with and spend time in the natural environment. I'd like future generations to have the opportunity to enjoy it as I do. another is to be part of a community, to connect with, and be part of something bigger than my own little space in the world. It'd be great to connect with others doing their bit to make a difference. a third core value is to do with education and personal development. I like to extend myself. I enjoy being educated, informing, sharing and trying to explain concepts clearly. If I'm going to live comfortably with myself, I need to embrace my values and move in a direction where I act on them, even though it may be difficult. I'll try to ignore the demons of "Nothing's going to change", "I'm setting myself up for disappointment because no-one's interested anyway" and "Who do you think you are? Getting too big for your boots if you think you can have an effect". Rather than leaving the preparation to the last minute like last year, I've been thinking ahead, mulling over how to present the whole depressing schemozzle so it’s not a major turn off. Pilfered from Burrowers, Books and Balderdash here. But, first, I needed to drag myself out of the chasm of despair and fear that envelops me when I think about climate change and the destruction of our eco-systems. So I took some time off to relax, be inspired, blow away the cobwebs and re-energise. And it was fun! This path is high above the surrounding plain. The white rocks that litter the path were once at the bottom of an ancient sea. I wonder if this River Red gum had been graftedby a local aboriginal group years ago to create a specific shape? If you look closely at the top of the photo you can see where it has created another loop and the light is glowing through. Hattah Lakes, Vic. Trees have grown along fault lines where water has trickled. To get a sense of scale, I'm the little splodge on the right looking over the amazing landscape. Mutawintji NSW. 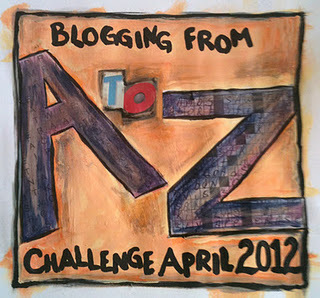 Click here to join the A-Z blogging challenge in 2012 with Arlee Bird and his great band of helpers. 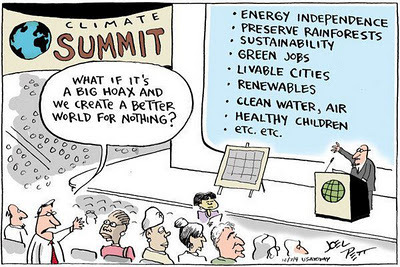 Thinking about climate change and environmental damage, in the privacy of our own heads, can make us feel insignificant and scared. It was only when I made veiled comments to others, including my doctor, that conversations opened up and I realised I'm not alone in with the continual sense of fear and doom. My doctor commented that he is treating more people for depression than ever before, and suspected that isolation and fear about the future may be part of the cause. You want us to join you? It'd be great if you join me over at traverselife where I'll be blogging from A-Z in April. Click on the ENGAHC button at the top right for more information about my theme. Perhaps you could 'follow' if the topic is something you can contribute to, or want to learn more about. I'd like you to share your insights, stories and comments. Sounds like a great theme and a very meaningful approach to the A to Z Challenge. Having an organized thematic approach will make your Challenge entries have purpose. Good luck. And a big thanks for the kind words and the pre-promotional plug for the 2012 Challenge. Thanks for visiting my blog just now. Blogger has been kicking me off of Followers Listings. I had to rejoin yours. Rats. Your A to Z Challenge motiff sounds perfect. I think we all have to fight the fear of change and of the battle to make things better -- if only in our square yard of the world. Thanks for your support, and I'll continue to 'shout out' - what you all are doing is wonderful. Roland, I'm pleased you rejoined. Thankyou. Thanks also for your support. I had a brain sludge moment when I visited you just now so didn't comment. Hi Sue .. this is a great idea .. and I'll mull the theme over .. and see what I can add to the mix .. It's something that we all need to think about and as Roland says get our square yard sorted ... we have to have our own 'commandments' and actions that we can do - while enlightening others ... education as a whole is the missing link - people don't ask and aren't interested. Great idea - I find the A to Zed goes way easier when you have a theme that you care about. And as a psychotherapist who works with lots of youth - yep, depression and anxiety are up. Walking is always my first prescription. Walking where there are trees hopefully. Double hit of goodness. Writing in the A-Z Challenge last April was an awesome experience. My intention was to write about my profession, what it entails and some of the stories around my experiences....I did about three posts on the subject due to lack of organization and the time constraints of the challenge. Your idea is wonderful and there is lots on this subject, as well as wonderful ideas that can be shared and played with. Taking the time to pre think your topic is great...I'm in the process of doing just that. I will again revisit my profession as there are funny, wild and wacky stories along with the serious ones. I'm sorting through them now so I will have my thoughts in order when it comes time to doing the writing. I won't pre write, somehow that loses the thrill of the challenge - but I will have some sense of my direction. PS...re the colour of the trees...the reds just keep getting redder! Very unusual for the West Coast! Hilary, your thoughtful comment is very encouraging. It's a daunting topic, one which so many people would rather ignore. I'd love to see how you'd tackle it. Jenny, the challenge is quite something isn't it! I'm so glad I participated last year. I'm working ahead for lots of reasons (including that I'll be presenting a workshop at a conference during the challenge), so I need to be organised and really on top of the topic. Enjoy those reds - I'm always a tiny bit envious of people who live with such amazing colours. thanks for visiting and commenting. We live in amazing times! I'm looking forward to the next challenge and reading your entries...I guess it's not too early to prepare..climate change is a passionate topic with me too. Eve, I'm already having moments of feeling overwhelmed - it's such a huge topic. I hope you drop by during the challenge when you have time, to contribute your thoughts.